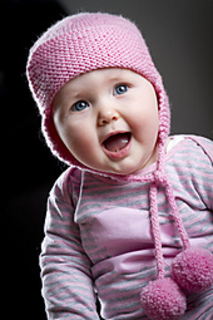 Cute hat with front and back flaps, cord ties and pompoms. Knitted in 8ply yarn with 4mm needles. Thank you for looking, check out my other Little Cupcakes and Baby Cakes patterns. More coming soon.